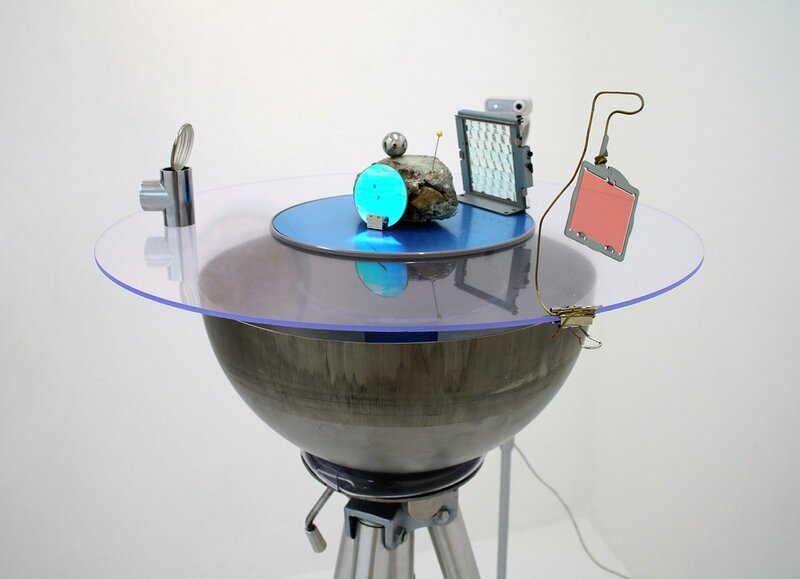 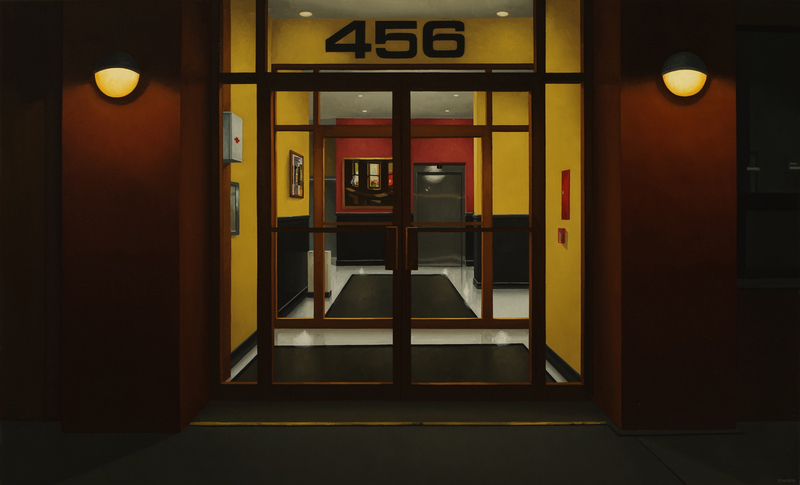 ‘Evening with Hopper’ by Peter Harris is a new suite of oil on canvas paintings by the Toronto-based artist. 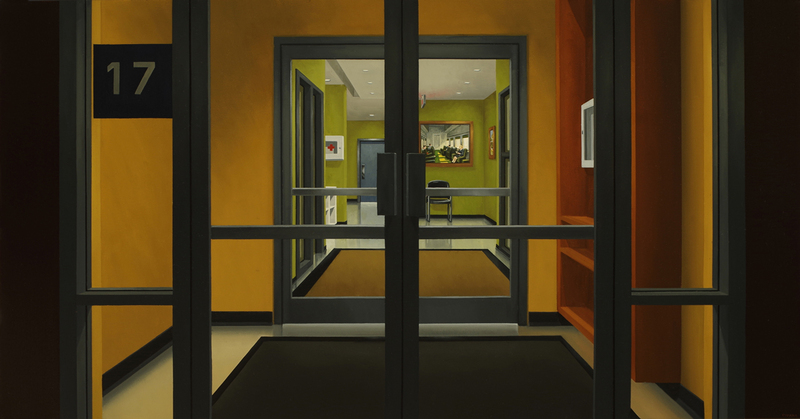 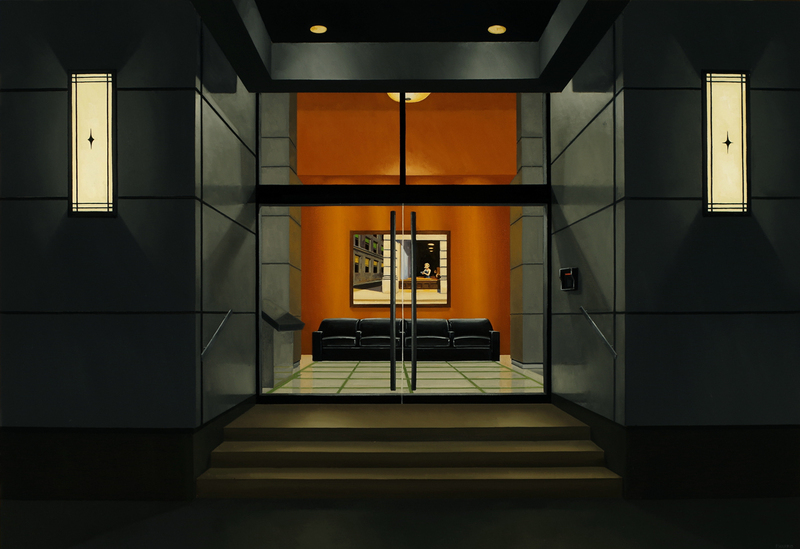 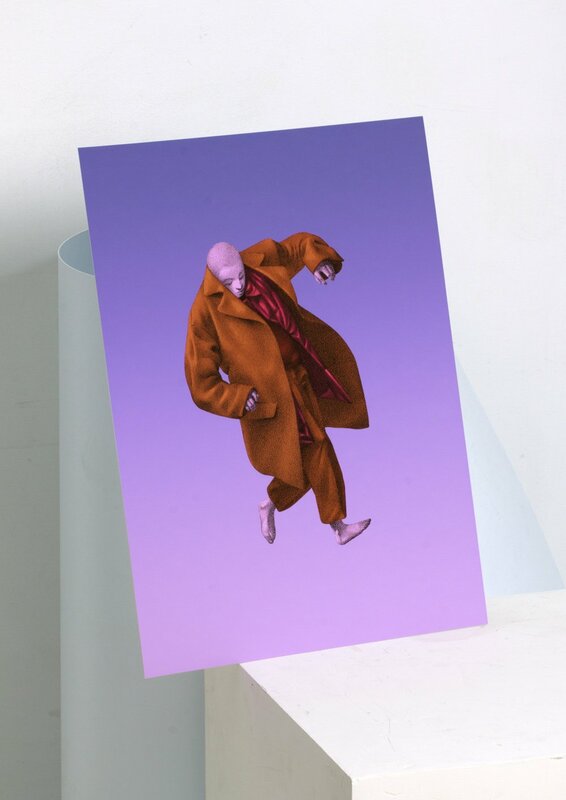 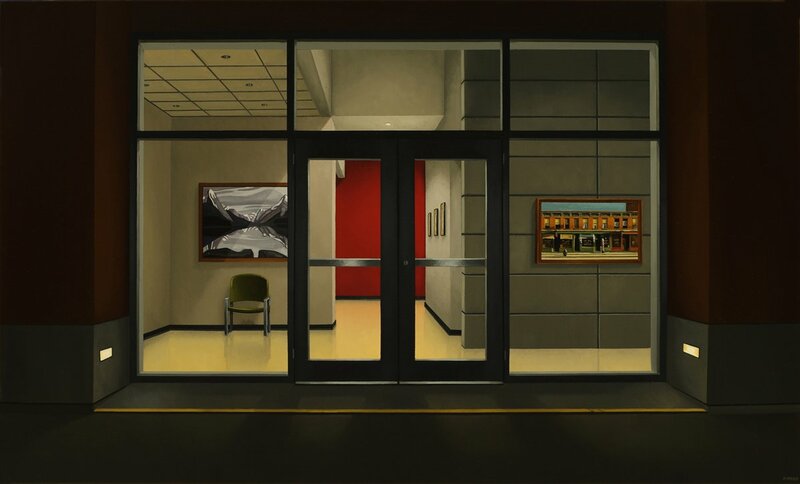 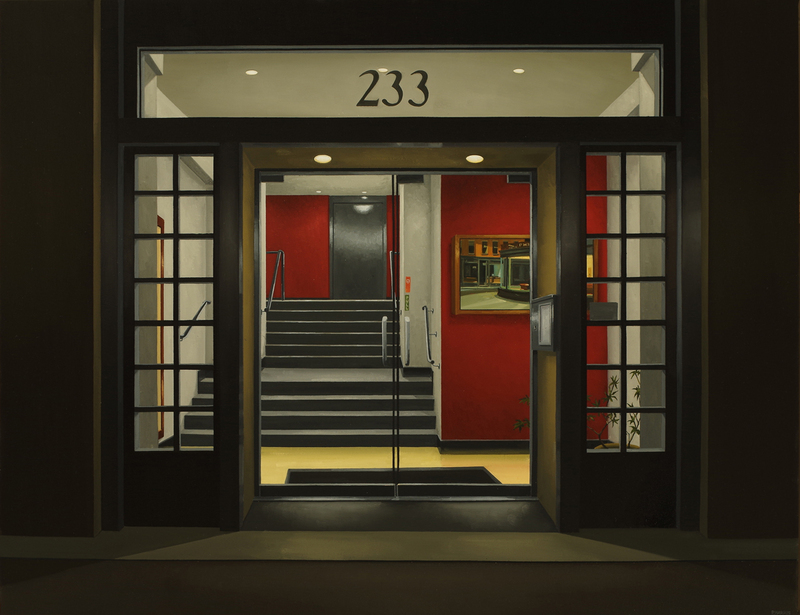 Paintings that place the works of well-known painters such as Edward Hopper into crisp, modern, architectural settings. 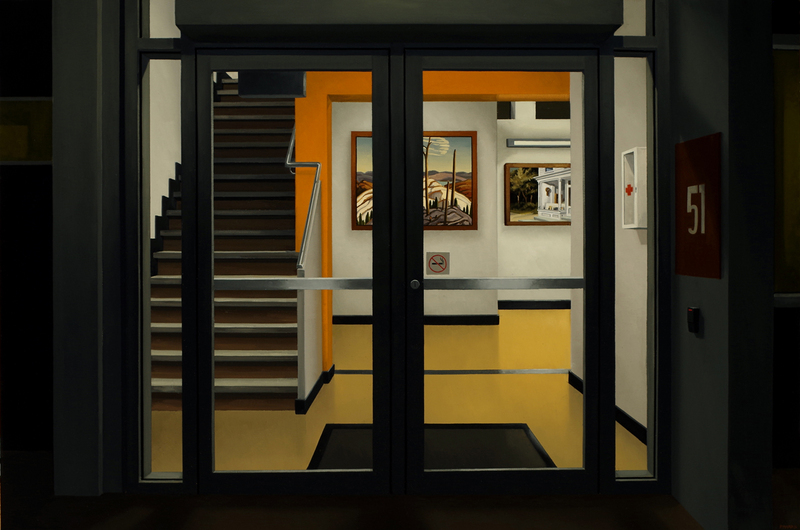 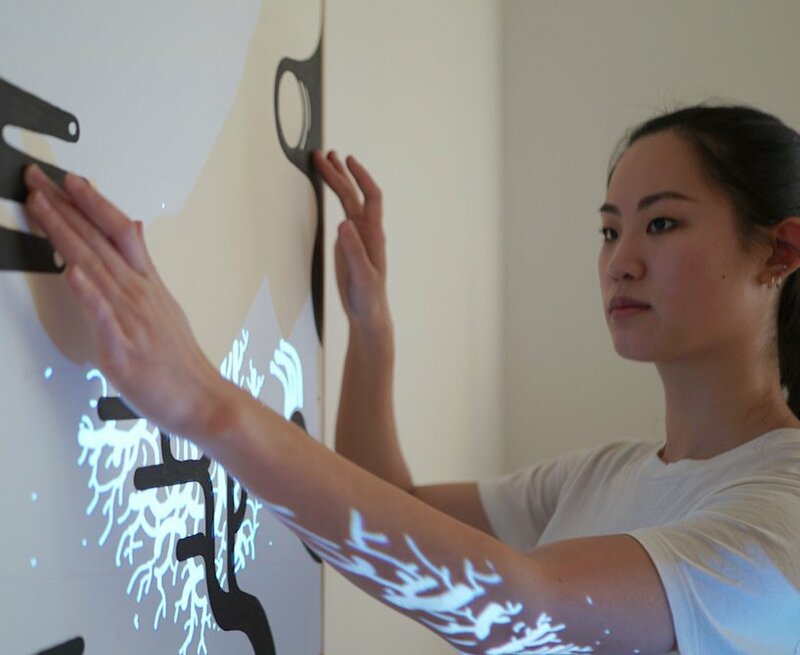 Harris hopes to create a new context to evaluate Hopper’s iconic paintings, and start a discussion on the continuing power and relevance of urban painting to a contemporary audience.